Syria Policy Analysis | We broke the fear in Syria. Abstract: Much attention has been given to the Islamic State’s military and governance activities in northern and eastern Syria, but there has been less focus on its slow and steady growth in the southern theater. Since July 2013, it has been building a presence in a number of locales around Damascus, with the eventual goal of taking the city. While such aspirations are still far beyond the group’s military capabilities, it has actively rolled out soft-power strategies. Focusing on the Islamic State’s activities in the north and east of Syria could prevent a complete understanding of what it is attempting to accomplish. The headlines from the Syrian war have focused for the most part on the north and east of the country. The media has tended to concentrate its attention on, for example, efforts by Kurds to push back against the Islamic State or Russia’s air campaign. There are good reasons for this. First, it is difficult for Western reporters to cover the fighting in other areas of the country. In addition, the north and east are where many of factions fighting the regime of President Bashar al-Assad, whether revolutionary, Islamist, or jihadi, have been strongest. It is also where territory was first taken from the regime and where jihadi groups such as Jabhat al-Nusra control parts of Idlib governorate and the Islamic State has set up its self-styled Wilayat al-Raqqah and Wilayat al-Khayr (Dayr al-Zur). Despite this current focus on the north and east, the southern theater could be more important to the outcome of the Syrian civil war. The regime is based in Damascus, the capital of Syria. Damascus is one of several seats of the former caliphate, and occupying it would provide immense legitimacy. While Damascus is unlikely to fall in the near term, the continued buildup of the Islamic State’s assets and presence in the surrounding area could provide a longer-term threat not only to the regime and the rebels fighting it, but also for Jordan and perhaps Israel. To better understand the history, evolution, capabilities, and future trajectories of the Islamic State in southern Syria, this article will examine the group’s activities in the area starting with its first attempt at building up its network in 2013. We will argue that the ultimate goal is to control Damascus. The roots of the Islamic State’s ability to penetrate southern Syria were in the creation of Abu Musab al-Zarqawi’s Damascus network. Much as Pakistan served as a staging ground for the anti-Soviet jihad in the 1980s, Syria played this role last decade in relation to the conflict in Iraq. 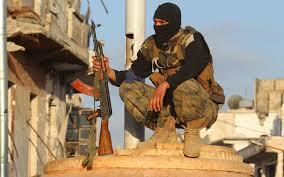 U.S. officials stated that 90 percent of the foreign fighters traveling to Iraq went through Syria. Many of these individuals were put up in safe houses led by al-Zarqawi’s man in Syria, the Iraqi Badran Turki Hishan al-Mazidi (better known as Abu Ghadiya). These networks were also integrated with the Bashar al-Assad regime through bribes and the smuggling networks that lined the pockets of local officials—and the relationship even extended to some training. It was also a way for the regime to get intelligence about these networks while also providing some opportunity to shape them to the regime’s liking. But, as in the case of Pakistan several decades earlier, these attempts backfired, spurring a long list of attacks and bombings. The network in Damascus also relied on locals, with the town of al-Hajr al-Aswad and its adjacent al-Yarmuk Refugee Camp just a few kilometers south of the city providing a backdrop for the local growth in Salafi ideas in the late 1990s. One of al-Zarqawi’s key operatives there was Shaker al-Absi, who had been based there since 1996. He had been involved with the network that planned and executed the attack on American USAID worker Laurence Foley in Amman, Jordan in 2002 and he would eventually become the leader of Fatah al-Islam in Lebanon in 2006 and 2007. To illustrate the importance of this base, it was reported that allegedly up to 1,000 Palestinians in al-Yarmuk Refugee Camp signed up to fight in Iraq in 2003. A lot of the facilitation and logistics for this took place in mosques in the Damascus area, with imams, such as Mohammed Majid (better known as Mullah Fuad), exhorting fighters awaiting approval to continue their journey to Iraq. When the Islamic State of Iraq (its name at the time) dispatched operatives to create Jabhat al-Nusra in Syria in July 2011, it relied on these same networks and connections to build up a presence in the Damascus area. Even Jabhat al-Nusra’s first two attacks were in that region. Some of these individuals would then defect to the Islamic State after the split with Jabhat al-Nusra in April 2013, allowing the group to start operating in southern Syria. Until the infighting between the Islamic State, more secular revolutionaries, and Islamist rebels in January 2014, the Islamic State was at a minimum accepted by groups such as Jabhat al-Nusra and Harakat Ahrar al-Sham al-Islamiyyah (HASI). This allowed Islamic State fighters to operate unimpeded, which it would take advantage of. Given the major setbacks the regime has suffered over the past week, now is a good time to apply maximum pressure on Assad, whether to force genuine diplomatic negotiations or accelerate a full military defeat. On April 22, a coalition of Syrian rebel forces launched a major operation, “The Battle of Victory,” to drive Assad regime forces from the northern Idlib province. Conducted with jihadist elements in a leading but not exclusive role, the campaign follows the successful capture of the provincial capital at the end of March. The current operation is larger and broader in geographic scope; it has produced some of the most serious fighting of the war and could mark a turning point. If the rebels can consolidate and exploit their latest gains, the regime will have suffered another major defeat in a string of setbacks since February — a sequence of events that suggests failing capacity among government and allied forces. The rebels would then be poised for further offensive operations in the north, and the boost in morale would likely energize them on other fronts. Moreover, much of the credit for their success would accrue to Islamist factions, including those linked to al-Qaeda, further strengthening their military and political position in the north and likely boosting it elsewhere in Syria as well. The regime may yet be able to stabilize the situation, however. If so, it would signal that it is still in the fight and capable of vigorous military action. The current offensive encompasses the area between Jisr al-Shughour and Ariha in southern Idlib province, and the northern al-Ghab plain of Hama province. These areas make up a dogleg salient of regime-held territory extending from Latakia province to just south of Idlib city. Rebel strategy appears to center on exploiting the regime’s highly vulnerable position there in order to break its hold on the province and create conditions for follow-on operations elsewhere in the north. Planning for the campaign may have begun as early as December, and rebel forces initiated serious operations against the salient in late March with the storming of Idlib city (see PolicyWatch 2396, “The Battle for Idlib: Military Implications”). This set the conditions for broader, ongoing operations in the salient and northern Hama. Round two of the campaign has been a more complex event — a major operation with multiple objectives requiring multiple coordinated actions. As in the battle for Idlib city, a number of different rebel groups are involved, including Jaish al-Fatah (Army of Conquest), the umbrella group that comprises al-Qaeda affiliate Jabhat al-Nusra, Ahrar al-Sham, Jund al-Aqsa, Jaish al-Sunna, Sham Legion, Liwa al-Haqq, and Ajnad al-Sham. They are acting in cooperation with six other rebel groups: Jaish al-Islam, al-Sham Front, Suqur al-Sham, al-Ghab Plain Faction, Jabhat al-Sumood, and the First Coastal Unit, which launched operations on the al-Ghab plain. Three other al-Qaeda-affiliated foreign elements are fighting alongside them as well: Katibat Turkistani (a.k.a. the Turkistan Islamic Party or TIP), Jund al-Sham, and Jabhat Ansar al-Din (an umbrella group for smaller factions, including the Chechen-led Jaish al-Muhajireen wal-Ansar and the Moroccan-led Harakat Sham al-Islam). The rebels have once again been able to achieve a significant concentration of forces and heavy weapons. Ten to thirteen thousand fighters have reportedly taken part — a plausible figure given that sixteen different groups are involved. They appear very well armed with plentiful ammunition. Heavy weapons employed include T-55, T-62, and T-72 tanks, BMP infantry fighting vehicles, rocket launchers, mortars, and vehicle-mounted heavy antiaircraft machine guns (12.7, 14.5, and 23 mm). Several types of antitank weapons have been heavily used, including RPG-7s, RPG-22s, M79s, and TOW missiles. Rebel videos show numerous accurate TOW attacks on regime armored vehicles and positions. Rebel tactics in the current campaign are similar to those employed in the battle for Idlib city. Fighters have isolated and assaulted regime strongpoints in the countryside, cutting lines of communication within the salient. Urban areas have been bombarded, infiltrated, and taken in close combat; locations posing strong resistance have been attacked by suicide-vehicle-borne improvised explosive devices (SVBIEDs). Government-aligned sources provide some picture of the regime’s order of battle. At the beginning of the offensive, its forces again comprised a mix of regulars from the 11th Division’s 87th Brigade (already battered in the Idlib city battle), personnel from the National Defense Force, elements of the “Tiger Force” (one of the regime’s most effective combat units), and possibly elements of the 54th Special Forces Regiment. . Reinforcements sent to the battle area reportedly include elements of the Syrian Social Nationalist Party militia and the 106th Republican Guard Brigade, the 40th Tank Brigade, and Hezbollah forces. Initially, the regime tried to maintain its hold on urban areas and the strongpoints spread throughout the salient. Some local counterattacks were conducted, at times successfully, but units at many positions appear to have fought alone until overrun; in certain cases, regime forces abandoned their positions rather than face destruction. The regime again attempted to use its air force to disrupt rebel operations but largely failed; poor weather early on probably played a role in this failure. The regime is now using airpower to heavily strike military and civilian areas seized by the rebels. Within Washington policy circles, many officials regard Syria’s minority Alawite sect as a homogenous bubble within Syria. However, in recent months, there have been signs of infighting within Syrian President Bashar al-Assad’s crony clan and growing resentment among Alawites, many of whom belong to the military and state security apparatus and upon whose support Assad’s power rests. In fact, the Alawites who want to see the end of the Assad regime may finally be over their fear of losing power to the Sunni-led opposition. Washington would do well to pay attention to these fissures between the families of the Assad regime and its Damascus associates, as well as to the pro- and anti-Assad communities residing in the coastal region along the Mediterranean Sea. Signs of rising tensions within Assad’s close circles first emerged in August when Douraid al-Assad, the president’s cousin, called for the resignation of Syria’s defense minister, Fahd Jassem al-Freij, following the execution of around 120 Syrian soldiers at the Tabqa airbase by the Islamic State of Iraq and al-Sham (ISIS). According to state media outlets, another cousin of Assad, Hafez Makhlouf, the intelligence chief in Damascus, “voluntarily” stepped down. Meanwhile, Alawite activists along the country’s coastal region called Freij “the minister of death” in their #Speak Up Against Assad campaign, protesting against the high number of Alawite deaths since the start of the conflict. That same month, a pro-regime lawyer was arrested after initiating the Twitter hashtag #وينن, meaning “where are they,” to ask for the names of the 120 or so soldiers whom ISIS was holding captive. Alawite activists have increasingly called for regime change, as noted in a recent statement by one group that calls itself the Syrian Alawite Congregation. More than 8,000 pro-regime military personnel from the Jableh district in the primarily Alawite coastal region of Latakia have reportedly been killed since the beginning of the revolution, not to mention the thousands from other Alawite regions who have died. Grieving families took to the streets in Latakia in August demanding the return of their sons’ missing bodies and chanting, “God willing we will attend your son’s funeral.” In early October, hundreds of Alawites in Homs angrily called for the ouster of Governor Talal al-Barazi after a car bomb exploded near Akrama Al Makhzomi Elementary School, killing 17 and injuring dozens of others, mostly children. Protesters have similarly called for Assad’s toppling in the port city of Tartus, and, according to activists on the ground, prominent families from the Alawite community in Latakia are secretly discussing Assad’s replacement. The division in the Alawite community isn’t new: it reflects the backlash against Assad’s favoritism toward the so-called al-Kallasieh clan, to which his family belongs. This clan has been protected in its coastal enclave from the burdens of war while other Alawite communities, such as the Haidariya, are forced to go out to the frontlines and fight the Syrian opposition. These resentments underline the class tensions among the Alawites: families of government officials live in luxury while families in the rest of the community struggle to feed their children. Also, Alawites who live in the capital are far more connected to the Assad family and have more privileges and access to power. In contrast, the average farmer or small shopkeeper residing in the Latakia mountains or even in Qardaha, the hometown of the Assad family, has little political leverage unless he has family members working for the regime. Ironically, Alawites who have lived in Damascus for many years tend to identify as Damascenes, except when it is necessary or advantageous to note their privileged relationship with the political elite. Such a connection gives them access to cherished services and greater freedom to, on occasion, shirk the laws and norms of the land, even those enshrined in the constitution. It is often enough to speak or pretend to speak in an Alawi accent, considered the accent of power, on the streets of Damascus to get away with practically anything and to scare non-Alawites into submission. In Latakia’s mountainous region, the socioeconomic division is highly visible: both extreme poverty and extreme wealth can be found in a single neighborhood, including Qardaha. Members of the Assad clan and their friends and allies were known to flaunt their fancy villas, motorcycles, and cars, which often lacked license plates, indicating that they were smuggled into the country. Driving past the barefoot children who live in small mud homes with shoddy electricity and water, these privileged few behaved like royalty, even if perhaps they were. Today, these humble villagers are the ones paying the heavy price of the war, as Assad’s government uses their sons and daughters as human shields at the front lines; they are also the ones rebelling against the regime, but they are powerless. In fact, the leaked photos of Syrian torture victims—surreptitiously given to the U.S. Holocaust Memorial Museum by a member of the Syrian military who goes by the name of Caesar—serve as vital evidence that members of the Alawite community were also victims of Assad’s brutality. The emergence of a split within the Alawite community into pro- and anti-Assad camps, however, isn’t necessarily good news for the Syrian opposition. For example, during the recent Tartus demonstrations, Alawite protesters called for toppling both the Syrian opposition and Assad. 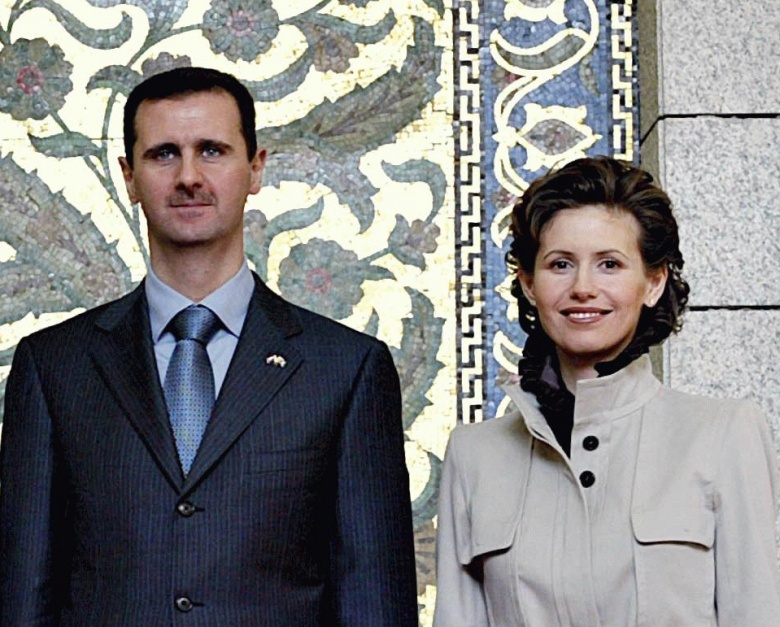 A military coup against Assad also appears unlikely, since some hypothesize that, as discontent rose in Assad’s inner circle, he orchestrated the 2012 assassinations of members from his own crisis-control cell, including his brother-in-law, Assef Shawkat. Although the Alawite political elite has become associated with corruption and abuse of power, some of the Alawite communities in the countryside are less tainted. Bashar’s father, former president Hafez al-Assad, who ruled Syria from 1970 until his death in 2000, was considered not only a political leader by the Alawites but also a patriarch and a religious figure, despite his early disdain for Alawite traditions. Therefore, the broader Alawite community would not rebel against the son of its revered leader. In an ideal world, Alawites and Sunnis would reconcile their differences and cooperate in toppling Assad and defeating ISIS. But the reality remains that such an option is unlikely. There is a massive lack of trust between these two sides, and also between Sunnis and the religious minorities, such as the Syrian Kurds and Christians. The explosive distrust comes from the lack of any social contract that defines the rights and responsibilities of each group and from the failure of the Syrian opposition to address what would become of the Alawites and these myriad communities should it take power. 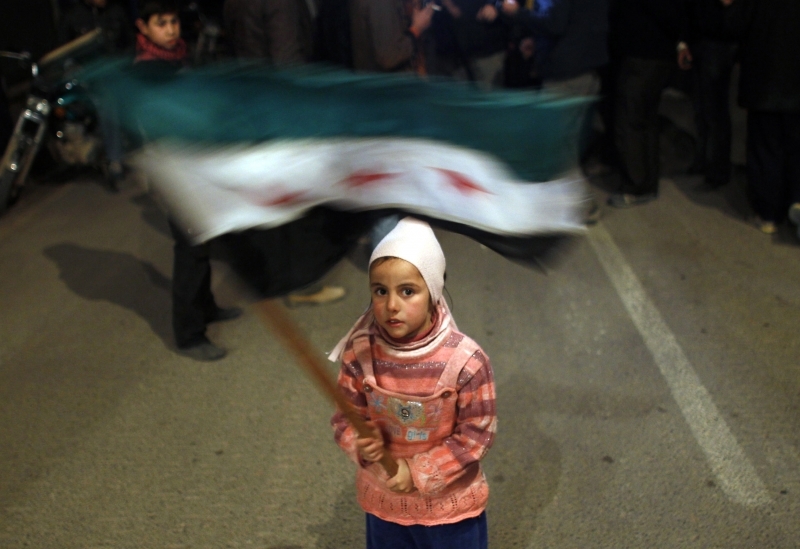 The Syrian revolution in 2011 was peaceful for the first six months, during which all segments of society protested against Assad’s dictatorship. But it ultimately devolved into sectarian bloodletting as a result of Assad’s partnership with Iran and of the emergence of jihadists within the opposition force. An end to the current conflict requires not just removing Assad but doing the tough work of undoing his entire autocratic regime. Replacing Assad with another leader, as some Alawite families allegedly advocate, is not enough. A regime makeover that would put in place a democratically elected president is only the first step in resolving the current conflict in Syria. To do so, building trust among all Syrian communities is key, through power-sharing agreements and an inclusive new constitution. For now, Assad still has the support he needs from Alawite families—and perhaps the fear for their fates under a rebel-controlled Syria is the main reason he does. But it is crucial to highlight that the Alawite community is not monolithic and that discontent has become manifest in recent months, which could serve as a vital opportunity to reconcile the various religious groups. Washington should not limit its allies in Syria to moderate rebel forces and local tribes; opposition-minded Alawites are just as important. Alawites need the right to protest against Assad, and the Syrian opposition should be prepared to take advantage of this situation as a starting point to reconciliation. Political and military support from the leaders of the free world, particularly the United States, are also needed to bring an end to the Syrian conflict; but such support needs to recognize the nuanced divisions within the sectarian divide in order to help alleviate the political imbalances within Syria rather than add to it. This article originally appeared on Foreign Affairs website. In his speech on Wednesday, President Obama announced that the United States will increase training and arming for the moderate Syria rebels. Given the threat posed by the Islamic State of Iraq and al-Sham (ISIS), that is the correct move: Syria’s moderate rebels are as important as ever. Much like the Kurdish peshmerga in nearby Iraq, they could serve as a strategic partner for the Obama administration and its budding international coalition in Syria. In fact, since any serious attempt to counter the self-styled Islamic State will require sustained military action inside Syria. The moderate and militarily effective Syrian rebel groups, such as Harakat Hazm or the Syrian Martyrs’ Brigade, are uniquely positioned to be of assistance. And, importantly, they are eager to do so. Since the start of the Syrian revolution, the opposition has sought a strategic partnership with the United States. But after years of broken promises, many are dubious of the Obama administration. They do not want to be used in the fight against ISIS, then left to fend for themselves against Syrian president Bashar al-Assad and the country’s other jihadist groups. Nor do they want to be latter-day sahwa fighters, the Sunni tribesmen in Iraq who aligned with the United States to oust al-Qaeda but were then left to confront the sectarian machinations of Nouri al-Maliki, Iraq’s prime minister at the time, on their own. Therefore, in order to overcome this crisis of trust between the Syrian opposition and the United States, the Obama administration must view the rebels as allies in the battle to bring stability back to the Middle East — which is in the interest of the United States and other Western powers. The Obama administration could, for example, ensure that the rebels can protect their areas from aerial bombardment by the Assad regime, or perhaps provide them with advanced weaponry to push back against pro-Assad militias from Aleppo to Damascus and southern Syria. Absent such measures, Syria’s moderate rebels will continue to fare poorly on the battlefield. More concerning, however, is that defections from the Free Syrian Army to groups like ISIS and Jabhat al-Nusra, al-Qaeda’s Syrian affiliate will continue unabated and may even increase. However, if the Obama administration does in fact enlist the rebels in its newest effort to destroy ISIS, then this could swing the momentum on the battlefield in their favor. Once they start taking real control of areas — at present, the rebels hold comparatively less territory than the Assad regime and ISIS — then the Syrian Opposition Coalition can begin to carry out its political duties by working with local councils, helping provide social services, and eventually organizing local elections to bring some semblance of stability to rebel-controlled areas. Admittedly, that is quite a ways off, but the first step in stabilizing Syria is remembering that what is left of the moderate opposition is not a burden to America, but rather an important ally. Oula Abdulhamid Alrifai is a research assistant in the Program on Arab Politics at The Washington Institute. A political refugee from Syria, Oula is involved in the Syrian protest movement. Velvet revolutions are desirable, but a revolution, by its nature, is an extreme solution to an extreme situation. Revolutions often turn violent, igniting civil wars and attracting extremism – whether in individuals, ideologies or agendas – overwhelming moderate voices, the voices of reason. 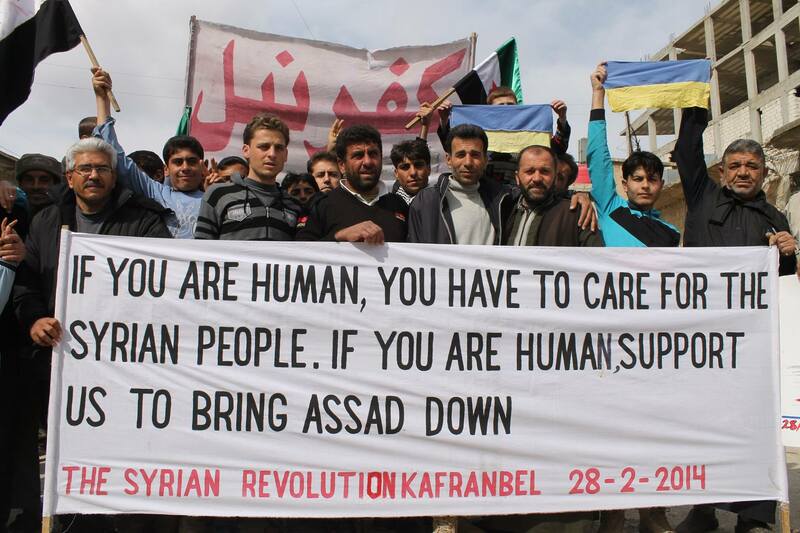 This is our story in Syria today. The new hegemonic power emerging on the scene is political Islam in its most radical manifestation. Unless we can identify the reasons for this development and find ways to address it, the possibility of a return to peace and stability in the country and the achievement of communal reconciliation while respecting the democratic aspirations of the people will be next to nil. The ongoing radicalization of Syrian rebels is in no small part a product of the violent crackdown initiated by Bashar Assad’s regime. It sought from the very beginning of the revolution to eliminate the young and moderate leaders of the initially nonviolent protest movement through detention, assassination and dislocation. By embarking on a violent campaign against the early protesters and their host communities, Assad created an environment of anger and despair that by its nature was conducive to the emergence of extremist elements. The regime, as it has done since the 1970s, ensured that chaos would survive. Previously, it had done this regionally in such places as Lebanon and Iraq, but it now applied this in Syria. Hundreds of extremists were released from regime prisons, and Assad exploited the negative consequences to his advantage, re-engaging with the international community with Russian and Iranian backing. The negligible support that moderate rebels received from the international community, often in the form of nonlethal aid such as communications equipment and night-vision goggles, at a time when Gulf donors were busy supplying cash and weapons to more extreme factions, proved another crucial factor in the ongoing marginalization of moderate elements from the scene, allowing for the effective hijacking of the revolution by extremists. The choices confronting pro-democracy activists are now harder than ever. Discrepancy, confusion, loss and a deep sense of betrayal tend to color the view of most at this stage. What is happening in their circles is not a clash of ideas, however.